May 19 (FT) Mongolia has signed a deal with Anglo-Australian miner Rio Tinto for the long-delayed development of the $5bn underground phase of the Oyu Tolgoi mine, one of the world's largest copper deposits. Restarting work at Oyu Tolgoi will provide a much-needed shot in the arm for the Mongolian economy, which has suffered as foreign investment dried up. Analysts see the mine as a litmus test for the Asian country's relations with other international investors. The negotiations, which stalled for more than two years, were recently accelerated when both sides placed more urgency on expanding the mine. Mongolia is due to pay back $1.1bn in external bonds in the next two years, equal to roughly a tenth of the country's annual gross domestic product. Revenues from Oyu Tolgoi and other large projects would greatly ease the country's ability to pay back or refinance its debt. Anushka Shah, sovereign risk analyst for Moody's in Singapore, said the deal could trigger other planned investments in the country, although Mongolia faced a period of "precariousness" in its foreign reserves and potential policy divisions during its upcoming election season. Financing for the second phase of the mine is yet to be outlined but multilateral lenders and an international consortium of banks have signalled their willingness to lend despite multiple deadlines for financing agreements already having passed. Monday's deal "addresses the key outstanding shareholder issues and sets out an agreed basis for the funding of the project", Rio said. The deal allows Rio to take advantage of an expected upswing in metals prices, analysts said. The miner earlier this year took a more bullish view that copper prices would recover within the next two years, after years of cost-cutting amid plunges in iron, coal and metals prices. "Supply disruptions in the first quarter are an indication that we need supply from other sources. This makes the timing good for Rio," said Daniel Hynes, metals analyst at ANZ in Sydney. He expects production from the mine's new underground phase to come on stream in 18 months. "It should be a quicker than normal ramp-up, since a lot of the infrastructure is in place," he said. The deal removes some of the fees that eroded Mongolia's revenues from the mine, including a reduction from 6 per cent to 3 per cent in the service fee that Rio charges on top of its revenue split. There is, however, no cap on the fees that Rio receives — an arrangement that could lead to resumed wrangling over cost overruns in future. Rio has also relinquished a 2 per cent royalty fee claimed by its unit Turquoise Hill, which was a legacy of the mine's earlier ownership, and accepted a change in the basis on which royalties to the state are calculated. An inflated tax bill has also been settled. Turquoise Hill will pay $30m to the Mongolian tax authorities, instead of the $127m that was initially calculated, in line with a compromise offered by Mongolian authorities last year. The Government of Mongolia, Erdenes Oyu Tolgoi, Turquoise Hill Resources and Rio Tinto have today signed the "Oyu Tolgoi Underground Mine Development and Financing Plan"
May 19 (Zasag.mn) The Government of Mongolia, Erdenes Oyu Tolgoi, Turquoise Hill Resources and Rio Tinto have today signed the "Oyu Tolgoi Underground Mine Development and Financing Plan", under which they agreed to move forward with developing and exploiting the underground resources of this extraordinary deposit. 1. The Oyu Tolgoi Project has already unlocked tremendous value for Mongolia in the form of investment inflows, job creation and the introduction of international technical, environmental, managerial and accounting standards within the workforce and among its suppliers. dealing with foreign investors and managing the county's strategic assets. There is no doubt that moving forward with the Oyu Tolgoi Project will improve the investment climate in Mongolia. Mongolia is now well positioned to attract and welcome new flows of foreign capital into its economy. The Government is confident that Mongolia will quickly regain its position as one of the fastest growing economies globally. 1. Continued development of the Oyu Tolgoi Project is of great national significance for Mongolia. The project is expected to raise the largest ever round of project financing in the mining industry in the world. 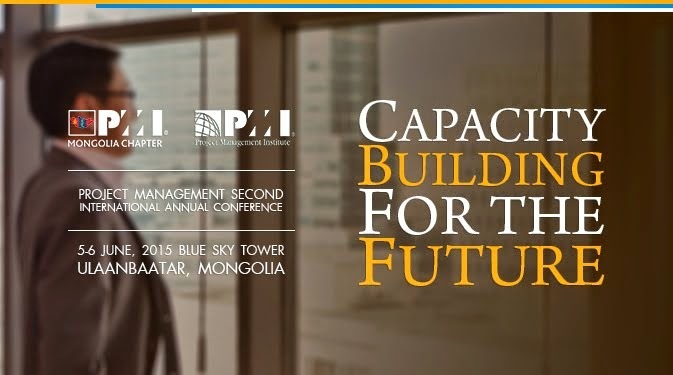 This will reignite growth in Mongolia's mining industry. 2. Developing and managing such a significant project with Rio Tinto as an international partner will bring systemic improvement in processes, procedures and co-ordination, which will benefit other foreign investors. 1. The process of reaching this agreement today with Rio Tinto demonstrated the cooperative spirit of all parties involved, as well as adherence to laws and contracts that are in place. We believe this agreement is a fair outcome, and reflects a concerted effort by all to resolve key project issues and prevent future disputes from arising. We have reinvigorated our relationship with our partners, based on mutual trust and a shared long-term commitment to the prosperity of the Mongolian citizens. 2. We are proud that the Government of Mongolia has displayed leadership at all levels a constructive manner throughout the process. From the Government agencies to Erdenes Oyu Tolgoi, the Oyu Tolgoi shareholder, all have strived to implement international standards of business practice. In summary, this agreement will have a significant impact on the Mongolian economy, which will benefit Mongolian citizens for generations to come. It shows our commitment to make Mongolia an attractive country for investment. Mongolia is open for business. VANCOUVER, BC--(Marketwired - May 18, 2015) - Further to today's joint announcement by Turquoise Hill Resources, the Government of Mongolia and Rio Tinto, the Company is providing additional details in connection with the Oyu Tolgoi Underground Mine Development and Financing Plan (the Mine Plan), which provides a pathway forward in addressing outstanding shareholder matters to restart underground development. Next steps include approval of the underground feasibility study and project financing as well as obtaining all necessary permits. The Mine Plan confirms the project cost for Oyu Tolgoi's initial construction and development and reinforces the principles set out in the Investment Agreement and the Amended and Restated Shareholders Agreement (ARSHA). Jeff Tygesen, Turquoise Hill's Chief Executive Officer, said, "Today's announcement is a major milestone in Turquoise Hill's history. The Mine Plan outlines a pathway to restarting underground development at Oyu Tolgoi, where approximately 80% of the mine's value resides. The agreement will supplement the benefits of open-pit operations, which is providing jobs in Mongolia, additional economic contributions and best practices in mining. I am confident today's announcement will allow the value of Oyu Tolgoi to be more fully realized by all Turquoise Hill shareholders." The Company will host a conference call and webcast to discuss the Mine Plan tomorrow at 10:00 am EDT/7:00 am PDT. Next steps toward the underground development include on-going discussions with the Government of Mongolia in relation to the 2014 Feasibility Study and engagement with international financial institutions, export credit agencies and commercial banks to secure approximately $4 billion in project financing. When all steps and approvals on the path forward have been reached, the underground workforce will be remobilized. The agreements address key outstanding matters including the following specific items: tax matters, the 2% net smelter royalty, sales royalty calculation and management services payments. The agreements also address the sourcing of power for Oyu Tolgoi from within Mongolia. The overall value impact for the Company in connection with the agreements is less than 2% of the value of the reserve case of $7.4 billion. In 2003, Turquoise Hill acquired a 2% net smelter royalty from BHP Billiton. The enforceability of the royalty has been challenged by the Assistant General Prosecutor of Mongolia under Mongolian law. The Company has conceded that it has no entitlement to receive payment. In June 2014, Oyu Tolgoi LLC received a Tax Act (Tax Assessment) from the Mongolian Tax Authority as a result of a general tax audit for the period 2010 through 2012. Oyu Tolgoi appealed the assessment and in September 2014 received a response reducing the amount of tax, interest and penalties claimed to be payable, from approximately $127 million to approximately $30 million. In a separate agreement with the Government of Mongolia, Oyu Tolgoi has agreed, without accepting liability and without creating a precedent to pay the amount of the determination by way of settlement to resolve the tax matter. The parties have agreed that Oyu Tolgoi's 5% sales royalty paid to the Government of Mongolia will be calculated on gross revenues by not allowing deductions for the costs of processing, freight differentials, penalties or payables. Oyu Tolgoi will recalculate royalties payable accordingly since the commencement of sales and submit any additional amount payable to the Government within 30 days. Notwithstanding the terms of the ARSHA, the parties have agreed that in calculating the Management Services Payment (MSP), the rate applied to capital costs of the underground development will be 3% instead of 6%, as provided by the ARSHA. The MSP rate on operating cost and capital related to current operations remains at 6%. Within 30 days of execution of the Mine Plan, Oyu Tolgoi LLC and Turquoise Hill have agreed to prepare and submit working assumptions for a possible credit enhancement mechanism to support Oyu Tolgoi LLC's obligations under a potential power purchase arrangement from the Tavan Tolgoi power plant project. Today's announcement is a significant first step towards restarting underground development. The Mine Plan is available on SEDAR and the Company's website. May 21 (AFR) The Australian government's export credit agency says it is not guaranteed to revive its funding support for Rio Tinto's Oyu Tolgoi project in Mongolia, despite the project partners settling their differences this week. The Export Finance and Insurance Corporation was one member in a syndicate of banks that committed to lending $US4 billion to Rio for the expansion of Oyu Tolgoi project in May 2013. Like most of those lenders, EFIC's commitment to fund the project expired in 2014 when disputes between Rio and the Mongolian government caused the expansion of the giant copper, gold and silver mine to be delayed several times. Those delays finally came to an end this week, when Rio and the Mongolian government settled several issues and agreed to push forward with the expansion. Only two international banks, the World Bank's International Finance Corporation and the European Bank for Reconstruction and Development are still committed to fund the expansion, with Rio set to resume efforts to find the rest of the finance in coming months. A spokesperson for EFIC said the corporation would consider funding the project again if asked, but was not certain to do so. "Once the financing requirement is confirmed by Rio and the government of Mongolia, EFIC will need to review and and consider its participation in the project. Our participation depends on the number of Australian SMEs [small and medium-sized enterprises] involved," she said. EFIC has in recent times been told by government to refocus its lending on small and medium-sized businesses, but can lend to large corporations if they are developing projects that will create a large number of sub-contracting roles for small and medium sized Australian businesses. The EBRD's managing director for energy and natural resources, Riccardo Puliti, said work was already under way on the financing for the Oyu Tolgoi expansion. "We are working on the completion of the financing of this project and we welcome the agreement among the parties. This is an important agreement that should form the base for the re-activating of foreign direct investment in Mongolia," he said. Rio's copper boss Jean Sebastien Jacques said this week that the Oyu Tolgoi expansion was unlikely to be completed until after 2022, but Deutsche analyst Paul Young said he believed it could be constructed by 2019 or 2020. Mr Young said Oyu Tolgoi was clearly Rio Tinto's best and most important growth asset. "This is the best undeveloped copper project globally and probably the best undeveloped asset in the industry," he told Fairfax Media this week. The copper price was $US2.81 per pound overnight. May 19 (Australian Financial Review) It sounds bizarre but a nine-year-old girl's request to the Prime Minister-elect of Mongolia, Chimediin Saikhanbileg​, to sign her school project was an important turning point in the final green light for Rio Tinto's $US6 billion expansion of the Oyu Tolgoi copper and gold mine. Audrey Jacques, daughter of Rio's head of Copper and Coal Jean-Sebastien Jacques, requested Saikhanbileg's signature on her geography project on Mongolia following a dinner at the Jacques house in Holland Park, London last October. The request was made in a break during five days of intensive negotiations around the kitchen table between Jacques and Saikhanbileg. Audrey Jacques' timing was impeccable because it cemented the goodwill between the government and the company following more than two years of fractious discussions. The Mongolians had tried to play hard ball with Rio over Oyu Tolgoi in 2012 after intense pressure from various stakeholders to extract a better deal from a transaction that will ultimately deliver at least 30 per cent of the country's gross domestic product. But that bolshie approach to negotiations backfired. The global mining giant simply shut down the underground mining operations of Oyu Tolgoi, which is the world's largest copper and gold deposit located about 80 kilometres north of the Chinese border. The shut-down of the underground operations was significant because about 80 per cent of the value of the copper and gold deposit is underground. Rio's tough response to the country's intransigence sent a message to the world about the country's attitude to foreign investment. During the difficult two years of no movement by either side the Mongolian government relied on foreign currency payments from China to fund its budget. China gave them a $US500 million in currency reserves initially. That was later increased to $US2 billion. China takes about 95 per cent of the production from Oyu Tolgoi so it has a vested interest in its progress. The impasse over negotiations was partly due to the unrealistic expectations created by the original developer of the mine Canadian entrepreneur Robert Friedland. Saikhanbileg, who was appointed prime minister in November, knew that Oyu Tolgoi deal would be a litmus test of the country's attitude to foreign direct investment in Mongolia. No wonder his statement on Tuesday said: "Mongolia is back to business". Saikhanbileg, who is regarded as the young turk of Mongolian politics and was educated at Georgetown University in Washington, is an admirer of Singapore's founder Lee Kuan Yew. He strongly supports a proposal by Byambasaikhan Erdenes (Mogi: lol, it's Bayanjargal), CEO of Erdenes Mongol LLC, the nation's largest investment holding company, to see a large proportion of the estimated $US50 billion in cash flows from Oyu Tolgoi over the next 25 years invested in a sovereign wealth fund similar to Singapore's Temasek Holdings. It was during the discussions at Jacques' house in London that a new roadmap was agreed for getting a deal done. Both sides agreed to change the members of the negotiating teams. After the London discussions further negotiations were held in the Mongolian capital Ulan Bator in December. Jacques says that during those negotiations in Saikhanbileg's office, much of the time was taken up with a discussion about quantum physics. Throughout the negotiations, Jacques was assisted by Rio mining executive, Amara Amarjargal, who joined Rio in 2010. She obtained a degree in mining law from Dundee University in Scotland and worked as a commercial lawyer before joining Rio. The final agreement signed off on Tuesday is similar to the original investment agreement signed in 2009. The next step is to rehire the bankers for $US4 billion in financing and complete a feasibility study. The agreement to expand the underground mine at Oyu Tolgoi comes as the country tries to build its "third neighbour strategy" which involves building relations with Japan, Korea, Australia and the United States. May 19 (Bloomberg TV) Jean-Sebastien Jacques, chief executive officer of copper and coal group at Rio Tinto, talks with Francine Lacqua about a new deal allowing underground expansion of the company's Oyu Tolgoi mine in Mongolia. He speaks in an exclusive Bloomberg Television interview on "The Pulse." AUS article abt possible progress on #OyuTolgoi negotiatons (http://www.theaustralian.com.au/business/mining-energy/rio-tinto-a-step-closer-to-restart-of-expansion-of-mongolian-mine-oyu-tolgoi/story-e6frg9df-1227354055635 …) got me thinking abt analysis for day after agreement. It looks like the day after is upon us, according to press reports and a series of Turquoise Hill press releases. Below are my initial comments, but note that these are based on the publicly-available information only, and are preliminary in nature. • On the question of outstanding taxes that had been assessed and in dispute, Oyu Tolgoi and the government seem to have agreed on a tax bill of $30m, without prejudice, i.e. without any admission of guilt on either side. • Oyu Tolgoi forgoes a 2% smelter royalty it had inherited from BHP Billiton. • There is a change to how the royalty on sales is calculated. • The management fees that Rio Tinto charges for operating Oyu Tolgoi are reduced from 6% to 3%. • Any reduction in the 34% share in Oyu Tolgoi held by the government. • Any debt forgiveness or assumption of government debt. • Any significant changes to the royalty structure (in part because the 34% stake remained. On balance then, I'm a little surprised that there are no momentous changes in the Oyu Tolgoi structure. It had seemed that both, Rio Tinto and the government, had lost faith in their partnership. While it was always clear that progress would ultimately benefit both sides tremendously, simply because of the overall size of the project, it seems that the results of negotiations have not reconfigured the relationship. Perhaps it was the process of negotiations itself that will allow this agreement to have some longer-term durability? Various financing deals for the underground construction had expired, so negotiations for $4b in project financing will have to start anew. Given the fundamental economic soundness of the Oyu Tolgoi project, this should not be a huge hurdle. Once financing has been established, Oyu Tolgoi should be able to ramp up underground construction in the course of the summer. A construction workforce will have to be recruited and machinery and materiel procured. As construction gets under way, a Mongolian workforce will have to be hired toward operations at the mine. For the Mongolian government, a number of issues that have come up over the last two years remain unresolved as the Oyu Tolgoi governance structure does not seem to be changing with this agreement. When Erdenes Mongol looks at business operations at Oyu Tolgoi, how active will this holding company be? Presumably, there will not be any involvement in day-to-day operations, but in bigger decisions, is the state holding tasked with the maximization of financial benefits to the state, i.e. maximal revenue flows to the general budget, or does it take a more comprehensive and holistic view of operations? Is the holding run (at arm's length, one would hope) by the Ministry of Finance or do ministries like environment, labour, etc. also get a say? For the long-term operations of this mine, answers to such questions will definitely be needed! The 2011 boom in Mongolia was built on construction activities at Oyu Tolgoi. I don't see any particular reason why a boom should not result from the underground construction that will commence with the agreement that was reached. While much of the construction-related employment may be foreign labourers and expats, construction will draw on local suppliers to house, feed and maintain a large workforce. Presumably, domestic air travel to Dalanzadgad will resume and a number of infrastructure projects will be accelerated further adding to a construction boom. Also, presumably, the turgrik will either appreciate or at least hold its value (depending on the fiscal situation). Would there be any reason for inflation to decline other than a halt to the depreciation of the turgrik? Other than the $30m tax bill, a construction boom doesn't produce immediate revenue flows for the Mongolian government, if anything the agreement will strain government budgets more as the required investment will amount to up to $2b that the government currently doesn't have. Open pit operations will continue and continue to generate revenues but not on a scale to finance the underground construction. While Rio Tinto has obviously been persuaded by the negotiations that this agreement provides stability in the medium term, it seems unlikely that this would immediately reverse the decline of FDI into Mongolian. Mining projects already underway and undertaken by purely Mongolian-focused companies may be able to find financing somewhat more easily again and the associated activities might see a modest rebound of FDI. But how has the mutual distrust between Rio Tinto and the government been overcome? While the agreement is a once-a-decade step for Mongolia, will it outlast the current decade? The 2009 Investment Agreements ran into trouble 4 years into its existence. Looking at that experience, it seems unlikely that FDI would rebound on a large scale. For PM Saikhanbileg, the agreement is a huge victory, particularly since it comes just over a year before the election and there is some chance that voters will see positive economic results from this agreement by the time of the election. This may not be enough to persuade voters to return the DP to power (in fact this still seems very unlikely at this moment), but it may soften the blow and allow Saikhanbileg to claim underground operations at Oyu Tolgoi as his legacy, more than the DP's legacy, perhaps in the 2020 parliamentary election. Since Saikhanbileg's super-coalition was constructed with the goal of moving on large projects (Tavan Tolgoi appears to continue to be mired in a complex web of domestic business interests, contracts, and foreign relations), the signing of this agreement surely dooms the coalition sooner rather than later. It was never expected to outlast next winter, simply because parties wouldn't want to go into the 2016 election with coalition partners lest they cannot establish the distinctiveness of political choices, but with this agreement out of the way (and everyone, including the MPP) being able to claim some credit for this, why should the MPP stay in this coalition? The fiscal situation doesn't improve significantly and that's the DP's mess to deal with. The construction and affiliated service industry boom that will be spurred by this agreement will happen relatively independently of government actions. Unless there is an unfortunate argument that the MPP and some of its prominent politicians want "in on the boom", it would seem that this agreement would spell an end to the coalition though perhaps not before the parliamentary summer recess. 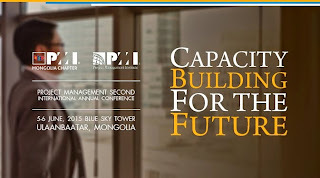 All in all, May 19 2015 will have been very significant to Mongolia's development. While I had been feeling quite gloomy after my recent visit to Ulaanbaatar, this agreement changes everything. As I had previously argued, the Mongolian government has to "just" get Oyu Tolgoi right as the scale of this project will sustain capacity-building for other economic activities. None of this is guaranteed by this agreement, but it seems to be a positive step at least. HALIFAX, NOVA SCOTIA--(Marketwired - May 21, 2015) - Erdene Resource Development Corp. (TSX:ERD) ("Erdene" or "Company"), is pleased to announce that it intends to undertake a non-brokered private placement ("Private Placement") to raise up to $1 million and has engaged the services of Altus Securities Inc. to act as advisor on behalf of the Company. The Company is also pleased to provide comment on the recently announced Oyu Tolgoi Phase II agreement. Erdene is undertaking a non-brokered Private Placement to sell up to 7,142,857 units at a price of $0.14 per unit for gross proceeds of up to $1,000,000. Each unit will consist of one common share of the Company and one-half of one common share purchase warrant, with each whole common share purchase warrant ("Warrant") entitling the holder to purchase one common share of the Company at a price of $0.16 for a six month period from the closing date. Finder's fees will be paid on a portion of the Private Placement, consisting of up to 6.5% of the gross proceeds raised and up to that number of finder's fee warrants equal to up to 6.5% of the number of common shares issued on the Private Placement. Each finder's fee warrant will be exercisable into one common share of the Company at $0.16 per share, for a period of 12 months from the closing date. Net proceeds of the Private Placement will be used to advance the Company's 100% owned Altan Nar gold-polymetallic project in southwest Mongolia and for general working capital purposes. The Company's current work plan includes process test work, evaluations of the mining, engineering, transportation, and marketing options and exploration and development related drilling. The Private Placement is expected to close on or before June 5, 2015, and is subject to certain conditions, including, but not limited to, the receipt of all necessary approvals including the approval and acceptance by the Toronto Stock Exchange. All securities to be issued pursuant to the Private Placement will be subject to a four-month hold period from the closing date. May 19 (Proactive Investors) Mongolia-focused Kincora Copper (CVE:KCC) received a boost on Tuesday - as the government reached agreement with mining giant Rio Tinto (LON:RIO) over expansion at the huge, world class Oyu Tolgoi project. The administration inked the underground mine development and financing plan with Turquoise Hill Resources and Rio Tinto, meaning work on the US$5bn delayed underground expansion can now begin after a long-running dispute. The Mongolian prime minister Chimediin Saikhanbileg said: "Mongolia is back to business. "Oyu Tolgoi is a world-class copper-gold asset and its further development is of great economic significance for Mongolia. "We have finalised a way forward with our partners which re-establishes the foundations of a new and constructive relationship based on mutual trust and our joint long-term commitment to Mongolia's growth." It could mean financing could now start to flow on other projects, which will be welcome news to Kincora. It is developing the Bronze Fox copper-gold deposit in southeast Mongolia, in the Oyu Tolgoi copper belt and around 140km northeast of Oyu Tolgoi. Earlier this year, it won back Golden Grouse licences that the government had cancelled in 2013 and welcomed changes in Mongolia's investment laws. Kincora chief executive Sam Spring was quoted as saying this morning "It puts Mongolia back in the game." 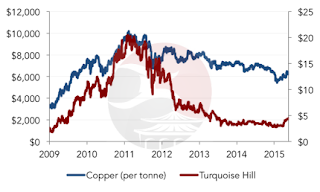 SINGAPORE, May 19 (IFR) - Mongolian bonds were the day's outperformers, after Mongolia, Rio Tinto and Turquoise Hill Resources signed an agreement for the next stage of development of the Oyu Tolgoi copper and gold mining project. The highly anticipated agreement will be a huge fillip for Mongolia's economy, which has taken a hit from the downturn in commodities prices. As a result, last week's government-guaranteed bonds from Trade and Development Bank of Mongolia leapt 3 points in early trade and were last seen at 105.8/106.7 - a huge return for buyers of the paper at par last Tuesday. The sovereign's 2022s made similar gains today, trading at 92.9/94.1, up 3.5 points. In the investment-grade segment, the main focus of investors was on new supply and on managing rates volatility, said a credit sales head, which meant movements were muted. "What is interesting is that we are seeing a lot of real-money accounts in Taiwan and Korea becoming active because of rates movements," he pointed out. "You can expect to see them coming in more to long-maturity IG paper." The surprise outperformer in Chinese high-yield today was Single B rated China Aoyuan Property Group's USD250m 3-year bond, which was trading a full point above the reoffer price of 99.067. There was two-way traffic in bonds from Double B credits, such as Evergrande Real Estate Group, but they were largely unchanged. HONG KONG, CHINA--(Marketwired - May 20, 2015) - SouthGobi Resources Ltd. (TSX:SGQ)(HKSE:1878) ("SouthGobi" or the "Company") announces an update with respect to the May 2015 cash interest payment due on the China Investment Corporation ("CIC") convertible debenture ("CIC Convertible Debenture"), the refusal by the Supreme Court of Mongolia to hear SouthGobi's case on appeal and the status of the Toronto Stock Exchange ("TSX") delisting review. In addition, the Company announces that its Annual and Special Meeting of Shareholders (the "AGM") has been postponed from June 15, 2015 to July 24, 2015. Approximately US$7.9 million in cash interest was due by the Company to CIC on May 19, 2015 under the CIC Convertible Debenture subject to a three day contractual cure period until May 22, 2015. CIC has confirmed to the Company that subject to certain conditions and limitations, it has agreed to grant deferral of payment of the May 2015 cash interest installment until July 22, 2015 to allow the Company to execute its proposed funding plan ("Proposed Funding Plan"), as discussed in the section Liquidity and Capital Resources under the heading Proposed Funding Plan in the Management Discussion and Analysis ("MD&A") issued on May 11, 2015 and available on SEDAR at www.sedar.com. As consideration for the extension, the Company has agreed to pay CIC a deferral fee of 6.4% per annum on the amount of the May 2015 cash interest installment. In all other respects, the provisions of the CIC Convertible Debenture remain in full force and effect and the deferral of the May interest payment by CIC is without prejudice to CIC's right to pursue any of its remedies at any time if an event of default occurs pursuant to the continuing terms of the CIC Convertible Debenture. In the event the Company fails to pay the May 2015 cash interest installment when due on July 22, 2015, this would result in an event of default under the CIC Convertible Debenture and CIC would have the right to declare the full principal and accrued interest owing thereunder immediately due and payable, which could result in voluntary or involuntary proceedings involving the Company as discussed under the heading Risk Factors in the MD&A issued on March 30, 2015 and available on SEDAR at www.sedar.com. On April 22, 2015 the Company's subsidiary SouthGobi Sands LLC ("SGS") filed an appeal with the Supreme Court of Mongolia ("Supreme Court") against the decision of the Second District Criminal Court of Justice upholding the US$18 million Tax Verdict against SGS as discussed under the heading Governmental and Regulatory Issues in the MD&A issued on March 30, 2015 and available on SEDAR at www.sedar.com. In accordance with Mongolia's Criminal Procedure Law ("Criminal Procedure Law"), SGS filed the appeal through the Second District Criminal Court of Justice. On April 29, 2015, SGS was informed that the Second District Criminal Court of Justice had refused the appeal citing that SGS, as a civil defendant, does not have the right to file an appeal with the Supreme Court. On April 29, 2015, SGS sent a letter and filed an official protest to the Second District Criminal Court of Justice rejecting and challenging the legal grounds for its decision. On May 20, 2015, SGS was informed that the Supreme Court had refused to hear the appeal and had returned the appeal to the Second Criminal Court of Justice. The Supreme Court based its decision on a restrictive reading of Article 342 of the Criminal Procedure Law of Mongolia which stipulates that "the defendant, person acquitted, the victim, and their respective defense counsel have the right to lodge a complaint to the Supreme Court". The Supreme Court concluded that the omission of a specific reference to a civil defendant in Article 342, in and of itself denies SGS, in such capacity, the right to lodge an appeal to the Supreme Court. In its decision, the Supreme Court did not address other provisions of the Criminal Procedure Law and the Law on Courts of Mongolia, which provide that civil defendants have standing to appeal to the Supreme Court and that no judicial proceedings or decisions in Mongolia are outside of the scope of supervision by the Supreme Court. SGS notes that the letter from the Supreme Court was signed by one of the justices of the Supreme Court (the "Justice"). SGS believes that the letter was issued in violation of the relevant rules of the Supreme Court, which require that decisions on the refusal to hear a case on appeal be made by the Presiding Justice of the Criminal Chamber of the Supreme Court (the "Presiding Justice"). SGS intends to send an official letter of protest to the Presiding Justice and request an explanation on the Justice's decision and letter. The Company continues to believe that there is a lack of evidence to support both the Tax Verdict and the Appeal Verdict, and that the verdicts are both substantively and procedurally in error under the laws of Mongolia. However, should the Presiding Justice uphold the decision to refuse to hear the case on appeal, such decision will exhaust the legal appeals available to the Company in Mongolia. The refusal by the Supreme Court to hear the case on appeal will render the Tax Verdict payable. Under Mongolian law, the verdict can then be enforced by the General Executive Agency of Court Decisions of the Mongolian government. However, the Company has not received any demand or communication from the Government of Mongolia or any agency thereof in connection with the tax penalty to date. The Company intends to work with the relevant authorities in Mongolia to resolve the dispute giving rise to the Tax Verdict in a manner that is appropriate having regard to the Company's limited financial resources and supportive of a positive environment for foreign investment in Mongolia. In this connection, the Company is assessing a range of possibilities that could be available to achieve such a resolution with the Mongolian authorities. However, there can be no assurance that any such resolution can be successfully negotiated by the Company either at all or on favorable terms, or that the terms of any resolution to which the Government would be prepared to agree would not be materially adverse to the Company. In such case, this may result in an event of default under the CIC Convertible Debenture and CIC would have the right to declare the full principal and accrued interest owing thereunder immediately due and payable. Such an event of default under the CIC Convertible Debenture or the Company's inability to pay the penalty could result in voluntary or involuntary proceedings involving the Company as discussed under the heading Risk Factors in the MD&A issued on March 30, 2015 and available on SEDAR at www.sedar.com. The Company has requested approval from the TSX for a 30 day extension of the delisting review until June 18, 2015. The request for an extension is a consequence of the delays in the closing of the share purchase agreement between Turquoise Hill Resources Ltd. and Novel Sunrise Investments Limited and the associated delays in the implementation of the Company's Proposed Funding Plan‎. For additional detail, refer to the section Liquidity and Capital Resources under the heading TSX Financial Hardship Exemption Application and Status of Listing on the TSX in the MD&A issued on May 11, 2015 and available on SEDAR at www.sedar.com. The Company will announce a further update upon receipt of a response from TSX on its extension request. The Company announces that its AGM has been postponed from June 15, 2015 to July 24, 2015 in order to provide the Nominating and Corporate Governance Committee and Board of Directors with additional time to complete the Company's governance process and finalize the Director nominees to be presented at the Company's AGM. May 18 -- The Board of Directors of Wolf Petroleum Limited (ASX:WOF) wish to advise that Mr Jason Peterson has resigned from the Board, effective immediately. The Board thanks Mr Jason Peterson for his contribution over the past few years and wishes him the best of success in his future endeavours. May 21 -- The Chairman of Guildford Coal Limited (Guildford or the Company) (ASX: GUF), the Honorable Craig Wallace, has released the following statement in relation to attached Appendix 3Y: Change of Director's Interest Notice. "For some time I have been undertaking medical treatment. Unfortunately this has meant I have had some unforeseen medical expenses to be paid. Accordingly I have had to sell some of my shares in Guildford Coal. The Company will lodge the following 3Y this afternoon advising the market. I have not taken this step lightly. Guildford has a great future and I will try to hold as much stock in the Company as possible." May 22 -- Guildford Coal's Limited (ASX: GUF) subsidiary Terra Energy (Terra or the Company) hosted a celebration for achieving an impressive record of 1 million man-hours and 2 years worked lost time incident (LTI) free at its Baruun Noyon Uul (BNU) coking coal mine this week. The milestone is a result of strong safety strategies, processes and systems, established at the mine site in Mongolia. The celebration was hosted by Julien Lawrence, Chief Operating Officer, Geoff Chapman, BNU Project Manager and Reece Henry, Geology Manager. In attendance were present members from the Mongolian Ministry of Mining and Mineral Resource Authority of Mining (MRAM). The Chairman of MRAM congratulated Terra with achieving 1 million hours lost time incident free, adhering to the occupational safety rules and standards since mining commencement at the Baruun Noyon Uul coal mine, and wished great success in all of the Company's activities ahead. May 18 (MSE) According to the resolution No. :02 of shareholder meeting of "Tavantolgoi" JSC which held on 4 April 2015, the decision to distribute dividends amount of MNT3.1 billion or MNT59.00 per share from financial result of 2014 has been made. In addition, the resolution No. :7 of the same shareholder meeting, decision to distribute additional dividends with MNT200.00 per share from financial result of 2013 as well. By the way, the company distributed dividends total of MNT40.3 billion or MNT766.00 per share from net profits of 2013. On January 2015, decision to distribute additional dividends of MNT3.1 billion or MNT59.00 per share has been made. Therefore, "Tavantolgoi" JSC will be distributed total of MNT16.7 billion as dividends from financial result of 2013 and 2014. May 18 (MSE) First version of Mobile application of MSE became available at "Apple Store" on 24 October 2014. According to the requests from users, software of 2nd version Mobile Application of MSE upgraded and placed at "Apple Store". Updated version of Mobile Application of MSE contains addresses of MSE member brokerage companies, information of company managements and the charts which display historical share prices for 10 days to 5 years. May 21 (Bank of Mongolia) On the Foreign Exchange Auction held on May 21th, 2015 the BOM has received bid offers of USD 3.0 million in a rate between MNT 1937.00-1939.00. BOM has not accepted the offer. The BOM has not received any bid offer of CNY. On April 21th, 2015, The BOM has received MNT Swap agreement bid offer equivalent to USD 35.5 million from local commercial banks and accepted the offers. May 20 (Bloomberg) -- Mongolia sold 100% of a 100b tugrik ($51.5m) 3-year govt bond issue at auction on Wednesday, according to central bank statement. HONG KONG/SINGAPORE, May 18 (Fitch) Trade and Development Bank of Mongolia's (TDBM) recent issuance of USD500m in government-guaranteed notes is on balance a credit negative for the Mongolian sovereign, says Fitch Ratings. The TDBM offering stands out from a sovereign credit perspective for two reasons. First, the inclusion of an unconditional and irrevocable guarantee by the government of Mongolia means that the notes are treated by Fitch as government debt - this has a direct impact on our view of public debt sustainability. Furthermore, an embedded foreign-exchange swap with the Bank of Mongolia on concessional terms highlights the sovereign's strained access to external liquidity. Notably, media reports suggest that another Mongolian bank, State Bank, is also planning to issue a similar note on behalf of the sovereign. Fitch has highlighted high public indebtedness as one of Mongolia's key credit weaknesses. Public debt was estimated at approximately 60% of GDP at end-2014, significantly above the 'B' median of 43%. The guarantee on the TDBM notes adds an estimated 4% of GDP to the government debt stock, even though great efforts have been made to structure the deal in such a way that circumvents parliamentary approval and its inclusion in the debt ceiling under the Fiscal Stability Law. The ability to avoid inclusion in the debt ceiling limit is predicated on TDBM holding an equivalent amount of domestic currency bonds in an account with the Ministry of Finance, though no security or other preferential arrangement is given in favour of the government. An arrangement of this nature is inconsistent with IMF Guidelines for Public Debt Management, and Fitch would seek to include the TDBM guarantee in its public debt calculations as we have done for other explicit guarantees provided on behalf of the Development Bank of Mongolia. The need to resort to a foreign-exchange swap with a private-sector entity rather than raising funds on its own behalf, further highlights Fitch's longstanding concern over the sovereign's strained access to external liquidity. The embedded five-year foreign-exchange swap with the Bank of Mongolia has been provided to TDBM free of cost, with the exception of a guarantee fee. Both current and future exchanges are also conducted at the official US dollar/Mongolian tughrik spot rate prevalent at the time of issuance, rather than based off the implied forward curve as would be done in a typical commercial transaction. This will provide a temporary boost to the country's foreign-reserve position, while it effectively leaves the government unhedged from foreign-exchange exposure for the life of the bond. Fitch estimates that Mongolia's external liquidity resources have continued to deteriorate in recent months, from an estimated USD2.3bn in December 2014 to USD1.7bn as of March 2015. The source of deterioration reflects both the country's headline reserve position which has fallen by roughly USD300m, but also further drawdowns in its bilateral swap agreement with the People's Bank of China. Mongolia's rating of 'B+' with a Negative Outlook continues to balance these rating pressures alongside the potentially transformative consequences of a deal resolution between Rio Tinto and the authorities surrounding the Oyu Tolgoi mining project. May 21 (Reuters) Cash-strapped Mongolia's deal to expand the $6.5 billion Oyu Tolgoi mine is a big step towards stabilising its economy, but as it waits for the investment boost to feed through it is leaning on once-feared China to help shore up its finances. The landmark agreement with Rio Tinto to resume construction of the underground copper mine ended a two-year dispute during which foreign investors had shunned the country and slumping coal exports left it short of reserves. The mineral-rich country's heavy reliance on the mining sector has led to boom-bust cycles and credit downgrades by ratings agencies worried over weak external liquidity. Foreign investment fell 87 percent in 2014 (Mogi: -82%), which slowed growth to 7.8 percent from 12.3 percent the year before. China helped Mongolia's central bank stave off economic collapse with a currency swap agreement to help it maintain reserve levels. The Oyu Tolgoi project is the biggest single foreign investment in Mongolia and the deal with Rio rekindles hopes for a slew of other stalled projects. "Mega projects lift long-term growth equilibrium upwards," the Bank of Mongolia's chief economist Sandagdorj Bold told Reuters, referring to hopes it will lead to a revival of foreign investment. In the meantime, the swap agreement with China was "one of the tools to absorb the shock of balance of payments pressures", said Bold. The swap agreement, which works similarly to a credit line, also comes with fees and interest paid to the PBOC, but without many of the strings that are typically attached to an international bailout. "The cost is very reasonable," said Bold, adding he could not disclose the terms of the agreement. Swings in global commodity prices and foreign investment flows have left Mongolia's economy lurching between boom and crisis in recent years. The country burned through its reserves in 2009 as copper prices collapsed in the wake of the global financial crisis (GFC), and needed a bailout loan from the IMF and other international lenders, and the launch of the first phase of Oyu Tolgoi, to avert a full-on crisis. Rising coal prices and a revival of copper drove growth to a 17.5 percent peak in 2011, but in recent months the economy has been weighed down by a slowdown in China, the main consumer of its resources, and government meddling that made investors less enthusiastic about its mining sector than three years ago. "The government had assumed that the post-GFC surge in commodity prices was permanent," Tim Condon, chief Asia economist at ING in Singapore, wrote in a research note. "Populist visions of being the Saudi Arabia of copper and coal drove negotiations with foreign investors." The latest downturn had prompted an IMF warning that Mongolia's foreign reserves were likely to fall too low to finance its trade deficit, underlining the importance of the swap line with Beijing. Lkhagvasuren Amar, a senior economist at the Asian Development Bank, using central bank figures from March, estimated that Mongolia had drawn down an equivalent of $1.7 billion out of a maximum $2.5 billion from the currency swap. "I would find it a quite healthy buffer," said Amar. The central bank declined to comment on how much it had drawn down from the facility. China's central bank did not respond to Reuters' requests for comment. The People's Bank of China (PBOC) has inked swap agreements with 24 central bank to promote the yuan as a global currency. China's close proximity, as well as its position as a lead investor and top trade partner, makes the yuan a unique fit to the Mongolian economy. Mongolia has historically been cautious of China after centuries of political dominance. In 1921, it allied with the Soviet Union as a means of freeing itself from the rule of the Manchu dynasty, ushering in more than half a century of Soviet control and isolation from the rest of the world. But Prime Minister Chimed Saikhanbileg and his predecessor Norov Altankhuyag have been more open to Chinese investment. During a visit by President Xi Jinping last August that signalled warmed relations between the countries, Mongolia renewed its swap agreement with the PBOC, increasing its size by 50 percent from the previous deal announced in 2012. Chief economist Bold said the central bank was being careful to maintain "comfortable room" below the facility's 15 billion yuan ($2.42 billion) ceiling. Bold said the resolution of the Oyu Tolgoi dispute, and other mining projects set to launch or expand, could help lift growth this year to between 8 and 10 percent. Others take a more conservative view, pointing out that it will take time before the economy feels any benefit from the restart of Oyu Tolgoi, which had been stalled by disputes between Mongolia and Rio over taxes and building costs. Projecting 3 percent growth for this year, the Asian Development Bank wrote in March that Oyu Tolgoi would not likely have any impact on growth until 2016. "The resolution of the dispute averts the risk of default," said Fitch analyst Andrew Fennell. "But by itself, will not turn the corner." May 21 (Capitalist Exploits) Frontier markets and volatility go together like bacon and eggs. Bursting with energy, chaotic and often smelly they lurch about like a young calf finding its legs. Mongolia could quite aptly be seen to be such a calf. Sometimes the calf lurches about and remains standing. Sometimes it falls over. Two years ago Mongolia fell over. To understand what originally drove Mongolia's economy to post a blistering 17.3% growth rate in 2011 we need only look at the $6.6 billion investment into stage one of the enormous Oyu Tolgoi copper-gold project. OT, as it's known, is owned 34% by the Mongolian Government with Turquoise Hill (TRQ) owning 66% of the project. Rio Tinto in turn controls TRQ by way of their 51% stake in TRQ. In February of 2011 Turquoise Hill Resources hit $21.75, valuing the company at $43.8 billion. What happens to Oyu Tolgoi has such a dramatic effect on the country as when in full operation the mine is expected to account for a third of the country's GDP. This is truly unique. I don't know of any other country in the world where a single project has such a dramatic impact on the economy. To understand why TRQ came to be valued like Uber we need to understand that the Oyu Tolgoi mine is expected to produce as much as 195,000 tons of copper and up to 700,000 ounces of gold in concentrates next year. At current prices this equates to $846M of gold and $1.2B of copper. In 2011, however, gold was trading at $1,800 and copper as high as $9,555 per tonne while today gold trades at $1,200 an ounce and copper $6,200 per tonne, so we can see that with those numbers another $1B would have been added back in 2011. You can see the graphical representation of TRQ's share price together with the price of copper during this time frame. Now, anyone paying even a modicum of attention will see that TRQ has been oversold based only on the metrics of the copper and gold price. To understand why today TRQ is valued at just $9B and why the Mongolian economy has suffered while such riches sit on their doorstep we need only turn to – you guessed it – the government. The Government of Mongolia managed to grind the project to a halt for 2 years as disputes raged. I won't go into all the details, as there is ample commentary on the internet about the dispute. Suffice to say that government by their very nature are parasitic entities, most of whom are about as practical as a curly ruler. In this respect the Mongolian government did not disappoint, holding dear to some of the central tenets of the state everywhere, namely economic ignorance and plain stupidity. What followed was a deafening roar as you could literally hear the money packing up and leaving on flights out of Chinggis Khaan airport. FDI collapsed to just $400 million last year, down from $4.5 billion in 2012, and the local currency, the tugrik, got body-slammed, falling from 1,200 to 1,900 against the dollar. Fast forward to present day and the new president has just signed a landmark deal finally resolving all issues with Rio Tinto. 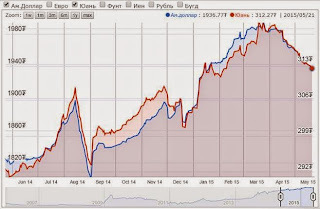 We have deep connections in the country and have a constant feed of information, and just over a month ago we received advance notification that things were turning around in Mongolia. I also hopped on the phone with our friend Harris Kupperman, the CEO of Mongolia Growth Group, to get his take on things. I recorded the call which you can listen to below. When I wrote my last post on the topic I mentioned that we were picking up some TRQ which was then trading at $3.73. Today at $4.50 a few weeks later we have to ask ourselves the obvious question: Are we on the brink of another run? While I'm not going to scoff at over 80% in just over a month the truth is we don't invest in frontier markets for 80% gains. We invest for thousands of percent gains. Even though Mongolia fell over, like most calves, it is likely it will get back up again. Right now the odds seem to be decent that it is indeed doing so. It may be time to take a deeper look. Assets are dirt cheap, the currency has been crushed and it looks like we're about to have the $5.4 billion underground expansion of the OT project finally proceed. We're currently holding onto a small illiquid but traded company which has been growing 40% YoY in a really tough market for the last 2 years. They've been hit by the foreign exchange collapse but when, or indeed if capital begins coming back into the country then it's companies such as this one which have the potential to really fly. We'll have more on this topic and what we're looking at there in the future. ABU DHABI, UAE, May 20, 2015 /PRNewswire/ -- H.E. Prime Minister Ch. Saikhanbileg of Mongolia concludes a two-day working visit to the UAE today following an official meeting yesterday with H.Н. Mohammed bin Rashid Al Maktoum, Vice President and Prime Minister of the UAE. Only two days earlier, a landmark mining deal was achieved by Prime Minister Saikhanbileg between the Government of Mongolia, Rio Tinto, Turquoise Hill Resources, and Erdenes Oyu Tolgoi regarding the multibillion dollar development of the Oyu Tolgoi copper-moly-gold mine, which is expected to be the third largest copper mine in the world following its planned expansion. This demonstrates a substantial improvement in the prospects for renewed investment in Mongolia. The Government of Mongolia under its new Prime Minister has been working successfully to reposition the country as an attractive and welcoming economy for foreign investors. Mongolia was recently home to one of the world's fastest growing economies, with real GDP growth of more than 17% in 2011, and the country's government is confident that it can once again be a global leader in terms of economic growth. Aabar Investments PJS has been the largest UAE investor in Mongolia since 2011 through its investment into Gobi Coal & Energy Ltd. Gobi Coal, led by principals who were involved earlier in the discovery of the massive Oyu Tolgoi project, has been active in Mongolia for more than a decade. Its two main projects, located in southwest Mongolia, contain a combined total of 318 million tonnes of high grade semi-soft coking coal JORC resources. Gobi Coal is led by its Chairman, Mr. Mohammed (Mo) Munshi who has more than 25 years of mining investment and development experience, including 15 years of activity in Mongolia. Prior to co-founding Gobi Coal, Chairman Munshi was part of the senior management team of Ivanhoe Mines, now known as Turquoise Hill Resources, which is the company that discovered the Oyu Tolgoi deposit in Mongolia. Chairman Munshi later discovered the Gobi Coal deposits and successfully attracted 9 rounds of equity investment capital, including securing a major investment from Aabar Investments in 2011, leading to the production ready phase of the coal mine. Aabar Investments remains highly supportive of Gobi Coal today and has been actively involved in assisting the Government of Mongolia and Gobi Coal in developing a broad coal sector and energy development strategy as discussed in meetings with Prime Minister Saikhanbileg earlier this year. Chairman Munshi stated that "Having what we consider to be one of the best coking coal assets in Mongolia, our strategy in 2011 was to complete an Initial Public Offering for Gobi Coal on the Toronto Stock Exchange when public markets and coal prices were near their peak values and to grow the company in Mongolia." Following the rapid decline in public markets and coal prices only months later in 2012, Gobi Coal was one of the most successful companies in Mongolia by conserving its cash to enable the company to pursue a broad coal consolidation strategy in and around Mongolia. "Gobi Coal has considered more than 20 different strategic and high value coal companies for consolidation and is currently focusing on 4 of high interest with the support and advice of its major shareholder Aabar Investments," according to the Chairman. Guided by the extensive experience and expertise of Chairman Munshi in the Mongolian mining sector, Gobi Coal provides Aabar with a strong platform for evaluation and consolidation of attractive mining projects in a country that has been endowed with some of the richest mineral deposits in the world. With the Government of Mongolia again signaling that the country is "open for business", Aabar Investments and Gobi Coal are the best positioned to create value on investments in Mongolia with a focus on consolidation of the Mongolia coal sector. Dubai, May 21 (Zawya) - H.E.Majed Al Shamsi, 1st Vice Chairman, Dubai Chamber, received a high-level 50-member Mongolian delegation led by H.E. Saikhanbileg Chimed, Prime Minister of Mongolia, recently at the Chamber head office.The meeting was attended by H.E. Abdullah Ghobash, Minister of State, H.E.Hamad Buamim, President and CEO, Dubai Chamber , and representatives of the business community. Welcoming the Mongolian delegation, H.E. Majid Al Shamsi, stressed on the importance of enhancing bilateral ties between Dubai and Mongolia, which he said will be further strengthened following this high-profile visit by the country's Prime Minister and his accompanying delegation. "Dubai can be a strong and strategic partner for Mongolia.The city's economy is led by pillars of trade, tourism, logistics and financial services while its location is a major benefit, offering a gateway to consumers across the Middle East, Africa and South Asia," said H.E. Al Shamsi. Calling both Dubai and Mongolian businesses to look for new areas of economic cooperation, H.E. Al Shamsi stressed that both the sides have to enhance bilateral ties and trade exchange as Dubai's total non-oil trade with Mongolia last year valued AED 60 million which positions the country as the emirate's 164th largest trade partner. H.E. Al Shamsi repeated Dubai Chamber 's commitment to provide all possible facilities to help Mongolian investors in building up a base in Dubai while reaching out to a large number of consumers in the region and beyond. He also expressed his willingness to cooperate with the Mongolianbusiness community for the achievement of common goals between the two sides. On his part, the Prime Minister of Mongolia lauded Dubai's economic growth model which he said is very impressive as he called upon UAE companies to look for joint cooperation ventures with their counterparts in Mongolia adding that there are ample opportunities for UAE companies to invest in Mongolia's mining, agriculture and livestock sectors. Indian dairy giant Amul has partnered with the Mongolian Institute of Technology to help develop an "effective milk procurement system" in the country. May 18 (Dairy Reporter) Amul, also known as the Gujarat Cooperative Milk Marketing Federation (GCMMF), signed a Memorandum of Understanding (MOU) with the Mongolian Institute of Technology on May 17. "Under this cooperation agreement, the Joint Technical Cooperation Programme aimed to strengthen capacities of Mongolian stakeholders in rural milk procurement, processing and marketing of dairy products based on Amul's dairy cooperative pattern will be guided by Gujarat Cooperative Milk Marketing Federation," said a statement sent to DairyReporter.com by Amul. Amul - owned by 3.6m Indian milk producers - plans to work with existing dairy cooperatives and milk processors in Mongolia to create an "effective procurement system" in two cities, Ulaanbaatar and Darkhan, and two provinces, Bayankhongor and Ovorkhangai. It insists, however, that there will be "no financial investment" in the Mongolian dairy sector. "It is our endeavor to help fellow milk producers in any part of the development world without expecting any returns. So, this project too is without expectation of any financial gain/income," it said. The signing of an MOU by Amul and the Mongolian Institute of Technology coincided with a visit by India Prime Minister Narenda Modi to the country's capital, Ulan Bator, on Sunday. Addressing the Mongolian parliament, Modi said: "We can use India's expertise in dairy to launch a white revolution on these steppes." The proposed cooperation between Amul and the Institute of Technology grew from a visit by the Mongolian Ambassador to India to Amul in June 2014. "During the visit they proposed that Amul should help Mongolia in restructuring of milk procurement, processing and marketing operations to achieve desired socioeconomic development of farmers of Mongolia," the Amul statement continued. "It was discussed that GCMMF should facilitate Mongolian milk producers to restructure the dairy industry of Mongolia." In April 2015, GCMMF delegation traveled to Mongolia, visiting dairy plants to assess the country's processing capabilities and the Institute of Technology in Ulaanbaatar to meet industry stakeholders. Following the GCMMF visit, the Mongolian government proposed the MOA. First and foremost, Amul will assist Mongolia in the development of an "effective milk procurement system." It will also help Mongolia provide training on the establishment of dairy cooperatives and milk producer organisations, breeding, health and dairy processing. May 21 [prMac.com] New York, New York - Mongolia's leading business magazine, Forbes Mongolia, now becomes available on Magzter, the world's largest and fastest growing global digital multi-platform magazine newsstand and bookstore, to expand its digital distribution. Mongolia's extensive mineral deposits and steep growth in mining-sector activities have transformed Mongolia's economy. Forbes Mongolia plays a vital role in showcasing the business opportunities in Mongolia, thereby increasing the Foreign Direct Investment, which is essential for every nation's economic growth. The magazine, which also reflects Mongolia's spirit of pioneering and wealth creating, is all set to reach out to over 25 million digital users on Magzter's newsstand. The latest first year anniversary special issue of Forbes Mongolia features annual World's Billionaires List, interesting success stories of billionaires and cover story on Mr. Batbayar, CEO of one of the leading companies in Mongolia known as "M-Oil Group." "Greetings from Mongolia! We are thrilled to be partnering with the world's largest growing digital multiplatform newsstand and magazine store, Magzter. These digitized editions will further strengthen our new media offerings and let us cross promote to both our readers to advertisers. Thank you Magzter for your outstanding service." said Enkhjargal Tsendjav, CEO, Forbes Mongolia Magazine. "Forbes Mongolia carries the rich legacy of Forbes, which is one of the world's most renowned business magazine brands. The magazine lives up to the brand value by coming up with informative and well-researched articles on Mongolia's economic growth and innovation." explained Girish Ramdas, CEO, Magzter Inc.
"At a time when emerging superpowers like India are partnering with Mongolia for business tie-ups, we feel elated to be taking Forbes Mongolia to global arena on Magzter. The magazine aptly reflects the current economic status of Mongolia, and hence, it is also being keenly followed by business experts across the world." said Vijay Radhakrishnan, President, Magzter Inc.
Magzter - Magazine & Book Store 4.2 is free and available worldwide through the App Store in the News category. Forbes Mongolia is priced at $35.99 (USD) for an annual subscription on Magzter. Magzter also launched a path-breaking "All You Can Read" subscription service called Magzter GOLD, which gives digital readers unlimited access to 2,000+ magazines for a low monthly price. The app is also available on Google Play, and Windows 8, the web, Amazon App Store, Kindle Fire, and NOOK and is expanding to more platforms soon. Magzter's easy purchase and renewal systems ensure subscriptions are paid on time, eliminating the need for paper checks and postal mail issues. Users can buy their magazines on any of the above devices/platforms and seamlessly port their purchases to any other devices, a feature unique to Magzter. May 21 (Emirates 24/7) His Highness Sheikh Mohammed bin Rashid Al Maktoum, Vice President and Prime Minister and Ruler of Dubai received this evening at Zabeel Palace the Prime Minister of Mongolia, Chimed Saikhanbileg, and his accompanying delegation. Sheikh Mohammed welcomed the Mongolian Prime Minister and expressed the hope that his visit to the UAE would contribute in furthering ties between the two countries, enhancing economic cooperation and building mutually beneficial partnerships. Also discussed were the potentials for investment, commercial and tourism cooperation between the two friendly countries. The Prime Minister of Mongolia said his country introduced new legislation to promote and attract investments in emerging sectors such as minerals, tourism, agriculture and livestock. The meeting was attended by Sheikh Ahmed bin Saeed Al Maktoum, Chairman of the Dubai Civil Aviation Authority and Chief Executive of Emirates Group, Mohammed bin Abdullah Al Gargawi, Minister for Cabinet Affairs, Dr. Anwar bin Mohammed Gargash, Minister of State for Foreign Affairs, Reem bint Ibrahim Al Hashemi, Minister of State, Abdullah bin Mohammed Saeed Ghobash, Minister of State, Mohammed Ibrahim Al Shaibani, Director General of Dubai Ruler's Court, Khalifa Sulaiman, Director General of Dubai Protocol and Hospitality Department and Mongolia's non-resident ambassador to the UAE, Sodnom Enkhbat. DUBAI, May 21 (Xinhua) -- The Prime Minister of Mongolia Chimed Saikhanbileg called here Thursday upon firms from the United Arab Emirates (UAE) to build joint cooperation ventures with their counterparts in Mongolia, state news agency WAM reported. The prime minister said there are ample opportunities for UAE companies to invest in Mongolia's mining, agriculture and livestock sectors. The prime minister, who led a 50-member Mongolian delegation to Dubai, made the remarks when meeting with Majed Al-Shamsi, the first vice chairman of the Dubai chamber of commerce and industry. Al-Shamsi stressed the importance of enhancing bilateral ties between Dubai and Mongolia, which he said will be further strengthened following this high-profile visit by the country's prime minister. Earlier on Wednesday, Saikhanbileg met with UAE's Vice President, Prime Minister and ruler of Dubai Sheikh Mohammed Bin Mohammed Al-Maktoum. Could Turkey be a third neighbor of Mongolia? May 19 (Turkish Weekly) Mongolia has no geographical neighbors apart from China and Russia, and it has no exit to the high seas therefore making it a land-locked country. Compared to its vast territory, it has a population of less than 3 million. Such factors have led to Mongolia's long isolation from the international arena in the past. Being aware of these strategic dilemmas, Mongolia started to follow the strategy of opening up to the world since the end of the Cold War in the 1990s. First, instead of implementing a one-party socialist system, it established a multi-party democratic system and initiated a free market economy. When it comes to foreign policy, in order to overcome its excessive dependence on Russia and China, Mongolia has developed the "Third Neighbor Policy". In this vein, the Center for Strategic Studies (SAM) of the Turkish Ministry of Foreign Affairs and the Mongolian National Security Council's Institute for Strategic Studies (ISS) held a joint workshop entitled "Turkey and Mongolia: Past and Future" on May 13, 2015 in Ankara, thus providing an opportunity to comprehensively assess Mongolian foreign policy and Turkey-Mongolia relations. Aiming to follow a more independent foreign policy with its Third Neighbor Policy, Mongolia has now come to identify some target countries as potential "neighbors" based on three basic criteria: these countries should have democratic political systems, developed economies, and they should respect the national interests of Mongolia. Japan, South Korea, India, Australia, the US, and Turkey are among the third neighbor countries chosen by Mongolia. Moreover, Mongolia's Third Neighbor Policy does not only refer to countries, but it also includes international organizations. In this context, international organizations such as APEC, ASEAN, NATO, and the EU have also been targeted within this policy framework. Mongolia became a member of the World Trade Organization (WTO) in 1997, a member of the ASEAN Regional Forum in 1998, and a member of the Organization for Security and Cooperation in Europe (OSCE) in 2012. Mongolia, which identifies itself as an East Asian country rather than a Eurasian or Central Asian one, has been expecting to become a member of APEC since submitting its application for membership to the organization in 1994. However, Mongolia remains cautious towards its possible accession to the Shanghai Cooperation Organization (SCO), which was established under Chinese initiative, and to the Russia-led Eurasian Union. Mongolia considers the aim of the establishment of these two organizations as more political rather than economic, and does not want to become more dependent on the political and economic terms set by Russia and China were it to become a full member of these organizations. On the other hand, Mongolia has been included in NATO's Partnership for Peace program. Furthermore, in the 2000s Mongolian troops took part in NATO military missions in Afghanistan, Iraq and Kosovo. While developing its relations with NATO, Mongolia is also striving to keep military cooperation alive with its big power neighbors, namely Russia and China. While increasingly engaging NATO when it comes to training and technical cooperation, Mongolia nonetheless continues to carry out joint military exercises with the Russian and Chinese armies. Turkey's Embassy in Ulan Bator is hosting the NATO liaison office in the country for the year of 2015. Mongolia declared its independence in 1921, but its diplomatic relations with Turkey were first founded in 1969 and the reciprocal opening of mutual resident embassies occurred in the 1990s. After the collapse of the Soviet Union, Ankara developed intensive relations with the newly independent Central Asian countries, and considering Mongolia as a part of this classification, Turkey also began to develop relations with Mongolia at this time as well. The Turkish Embassy in Ulan Bator went into full operation in 1996, after which time Mongolia opened its embassy in Ankara, in 1997. Furthermore, the intensive high-level visits between Turkey and the newly dependent countries of Central Asia also included Mongolia. A particular set of attractions in Mongolia that has encouraged Turkish leaders to visit the country are the Orkhon inscriptions, which are two memorial installations written in the Old Turkic alphabet and erected by the Göktürks in the early 8th century in the Orkhon Valley in Mongolia. Despite the strengthening of political relations between Turkey and Mongolia over the last 25 years, economic relations between the two have developed far less than desired. Bilateral economic relations, starting with a trade volume of $1 million in 1992, reached their highest volume at $49 million in 2013. Yet in 2014, the bilateral trade volume declined to $35 million. The trade volume between the two countries is primarily made up of Turkey's exports to Mongolia. Logistical deficiencies as well as geographical distance have perpetuated the low level of trade and economic exchange between Turkey and Mongolia. It is not possible to ship cargo to Mongolia by sea, and to dispatch goods from Turkey via railroad or highway takes an extensive amount of time while also increasing the risk of lost property due to inadequate infrastructure. In 2012, Turkish Airlines commenced direct flights between Istanbul and Ulan Bator, an act that has significantly facilitated the exchange of business personnel between the two countries. Turkey could develop economic cooperation with Mongolia in three main areas. Firstly, Mongolia has great potential in the fields of farming and agriculture. Secondly, especially considering Mongolia's major infrastructure projects, the construction industry represents another potential sector in which bilateral cooperation could flourish. However, in terms of logistics and costs, Mongolia's neighboring country of China seems to be in much more of an advantageous position in the contracting sector compared with Turkish companies. The third area of cooperation could be mining. Mongolia is a country rich in minerals such as coal, iron ore, copper, and uranium as well as shale gas. Turkish mining companies could cooperate with their Mongolian counterparts by way of either single or joint ventures. Social and cultural exchange between Turkey and Mongolia is increasing day by day. To date, the Turkish Cooperation and Coordination Agency (TİKA) has spent $28 million in Mongolia for infrastructure and cultural projects. Since 1992, Turkey has also allocated a number of state scholarships for Mongolian students in order to allow them to receive their educations in Turkey. Recently, the number of Mongolian students who are receiving their educations in universities in Turkey reached 1,000. Consequently, relations between Turkey and Mongolia over the last 25 years can be characterized as a slowly but steadily growing partnership, and considering this, Turkey deserves to be a third neighbor of Mongolia. Prime Minister Narendra Modi on Monday hailed his visit to Mongolia, dubbing it 'historic' and 'path-breaking', also expressing his gratitude to the people of that country. May 18 (ANI) The Prime Minister took to twitter to share his thoughts. "I leave Mongolia with great joy. My visit was historic, pathbreaking and one that will take India's ties with Mongolia to spectacular heights," he wrote. "My deepest gratitude to the people of Mongolia. I carry back wonderful memories of your Nation, a land that is our spiritual neighbour," he added. During his visit, the Prime Minister announced that India would extend Ulaanbaatar with a line of credit of USD one billion develop institutions, infrastructure and human resources in Mongolia. The two sides also decided to elevate their ties to the level of 'strategic partnership', with Prime Minister Modi and his counterpart Chimed Saikhanbileg agreeing to intensify bilateral defence and security cooperation as well to encourage the development of mutually beneficial trade, investment and economic cooperation. New Delhi and Ulaanbaatar also signed 13 agreements to strengthen bilateral their ties, with Prime Minister Modi stating that Mongolia is an integral part of India's 'Act East' policy. Prime Minister Modi is the first Indian prime minister to visit Mongolia. May 18 (Mongolia Focus) In the wake of Indian PM Narendra Modi's visit to Ulaanbaatar should we expect a radical revamping of Indian-Mongolian relations? Certainly, you don't send in the big dogs unless you mean business, right? Modi visited Mongolia on the invitation of the Mongolian PM Ch. Saikhanbileg from May 16-18th. This is the first visit from an Indian Prime Minister to the country, and was scheduled to coincide with the 60th anniversary of formal diplomatic relations between the two states. Conveniently, this also coincided with Modi's Asia tour, and he came to Mongolia after a very successful visit to Shanghai. In addition to formal meetings with Mongolian officials, Modi visited an IT school that India had funded in Ulaanbaatar, as well as a medical center. He was also treated to a cultural display modeled after Mongolian Naadam and presented with his very own Mongolian horse (something often organized for visiting heads of state). 4. Both sides agreed to foster connections between Mongolia's Diplomatic Academy and India's Foreign Relations Institute. 6. India has extended Mongolia a $1 billion credit line. 7. India and Mongolia have decided to intensified civil nuclear cooperation, especially with regards to cancer treatment applications. 8. PM Modi and Mongolian President Tsakhiagiin Elbegdorj discussed ways of strengthening trade through agreements on shipping and logistics, energy, and taxation. 9. There is also discussion of using the Gujarat Co-operative Milk Marketing Federation model to boost Mongolia's dairy industry. (Modi was the chief minister of Gujarat before becoming PM in 2014, so the connection is not as random as it might otherwise seem). Contextualized within the larger history of Indian-Mongolian relations, this is certainly not insignificant. This is another piece of in the puzzle of India and Mongolia's neighbourly relations. India and Mongolia are neighbours? Surely, Brandon is failing at his efforts to learn geospatial analysis. But in all seriousness, Mongolia refers to India as its spiritual neighbour, one of many third neighbours, and increasingly as an ideological (democratic) neighbour. All three components of neighbourly relations were emphasized during this official visit. If one were to imagine an arc of Buddhism, extending from India, through Southeast, Japan, and China, Mongolia would be the northernmost section, and India and the southern most. Indeed, the first Indian ambassador to post-communist Mongolia was a devote Buddhist, and funded a number of monastery projects. It is no surprise then, that Modi's first stop was to Gandan Monastery– one of the oldest surviving monasteries in Mongolia. Let us not over state this religio-cultural relationship, however. Buddhism is not a broadly practiced religion in India, with Tibetan refugees and Tibetan peoples in Ladakh and elsewhere making up the vast majority of practitioners. India might be held in special esteem as a result of its connections to Buddhism, but Tibet is Mongolia's real spiritual neighbour, with India a convenient second. Still, the rhetorical of "spiritual neighbours" is useful for providing additional justification to efforts at strengthening Indian-Mongolian relations, even in geopolitical calculations might actually carry the day. "You always want to be the friend of the neighbors of your own most powerful neighbour," I was once told by an official at the Indian Embassy in Ulaanbaatar. As is well known to readers of this blog, Mongolia's execution of its so-called "third neighbour policy," by which the country seeks to develop close relations with regional and global powers besides its two physical neighbours, has been shaky at best. Despite efforts to diversify trade, China dominates Mongolian exports, and Russia continues to dominate the list of imported goods. Indeed, Modi may have encouraged Indian companies to explore options in Mongolia, but that won't make these companies more competitive against Chinese, North American, or Australian firms. That said, there is reason to be hopeful that the third neighbour policy has succeeded in fostering diplomatic ties with a far wider range of actors than some may expect. India represents a particularly attractive partner for Mongolia, because both countries share a common concern about Chinese hegemony in the region. Mongolia as a small state needs to ensure that it has an array of international partners that would dissuade Chinese action against its sovereignty (including economic action). On the other hand, a rising India has a vested interest in ensuring that China is not the only regional power courting smaller Asian states. India is the world's largest democracy; Mongolia is the only democracy in its neighbourhood. This connection appears to have been highlighted during the visit, and is certainly a central component in the Indian-Mongolian strategic partnership. During his visit, PM Modi noted that his visit not only coincided with the 60th anniversary of Indian-Mongolian diplomatic relations, but also with Mongolia's 25th anniversary as a democracy. Both India and Mongolia make a lot of noise about their democratic status. Mongolia has effectively leveraged its democratic credentials to further its relations with the U.S. and E.U. member state; India notes its established democratic system in sharp contrast to regional rivals (Pakistan and China). Returning to the question of whether we should expect any radical change in Indian-Mongolian relations, the answer is most likely a resounding "No, but…"
There are clear indications that India and Mongolia are moving to capitalize on the potentially strong relationship that they could enjoy as a result of their spiritual connections, shared geopolitical concerns, and ideological compatibility. There is no reason to expect that India and Mongolia will not be able to forge more significant economic and political ties, if there is the political determination to do so. At the same time, these ties remain limited by geography (distance) and the capabilities of both countries. May 18 (WSJ India) Narendra Modi has again demonstrated his love of music-making and his can-do attitude: this time on the Yoochin during a visit to Mongolia. At a festival in the Asian nation on Sunday, the Indian prime minister listened briefly to a trained musician play the Yoochin – an instrument which is played by hitting a set of strings with two tiny mallets, not unlike the Indian Santoor — before taking a pair of sticks and confidently bashing out what could be called a tune himself. For over two minutes. Solo. While he may have been expertly executing a classical Mongolian tune, to the untrained ear, Mr. Modi's music sounded like someone had pushed a small piano down a stairwell. Earlier in the day, while meeting Mongolia's President Tsakhiagiin Elbegdorj, he played a Mongolian cello or Morin Khuur. It's not the first time Mr. Modi has turned instant music maestro on an overseas tour. In Japan in September, he performed a Taiko drum solo in an impromptu jam session at the inauguration of the Technology and Culture Academy in Tokyo. MUMBAI/JAMMU, May 20 (PTI): Prime Minister Narendra Modi's announcement of a credit line of USD 1 billion to Mongolia was questioned by Shiv Sena and Congress on Wednesday with the BJP's key ally saying that it was more "fortunate" than Maharashtra where distressed farmers are reeling under debt. The Sena said the assistance will only aggravate the "pain of souls" of farmers who have committed suicide and asked Modi why he can't show the same eagerness to help the hapless farmers of the state. Modi was also accused by Congress of "defaming" the country by raising domestic issues abroad and making remarks on how people earlier used to think what sin they commited to have been born in India with Rahul Gandhi asserting that "I am a proud Indian". Maharashtra Chief Minister Devendra Fadnavis, however, refuted opposition's allegations that Modi had belittled opposition parties on foreign soil and said that they have denigrated themselves to such an extent, that they cannot be maligned anymore. "The PM has announced a USD 1 billion aid to Mongolia, so that relations between the two countries can be further cemented. The PM has taken moral responsibility for development of this small nation. But, this is not a small amount. This will only aggravate the pain of souls of farmers who have committed suicide," the Sena said in an editorial in its mouthpiece 'Saamana'. The NDA Government's ally at the Centre said Modi has announced credit to a foreign country at a time when hapless farmers, who are reeling under debt from banks and private moneylenders are waiting for financial aid from government. During his recent visit to Mongolia, Modi on Sunday announced that India will provide a Line of Credit of USD 1 billion to support expansion of Mongolia's economic capacity and infrastructure. Referring to Sena attack, Congress spokesman Raj Babbar said, "the PM has been given right kind of advice by the coalition partner." "Granting funds to Mongolia is a good thing. But at the same time, the amount he has given to Mongolia is estimated at Rs 22,500 to Rs 30,000 per citizen. But in Maharashtra a farmer is forced to commit suicide for he fails to repay an amount of Rs 10,000 loan," he told reporters in Jammu. At a press conference in Srinagar, AICC general secretary Shakeel Ahmad alleged that no Prime Minister has defamed India outside the country like Modi did. "In a democratic set up, there are differences but no Prime Minister has derided the country abroad". "I am a proud Indian and all of us are proud Indians," Rahul Gandhi remarked when asked by reporters in Lucknow whether Modi had once again insulted the nation by claiming on foreign soil that Indians used to feel unfortunate earlier and now they feel proud since his government came to power last year. May 20 (The Asia Foundation) Some 800 representatives from 160 Mongolian communities and environmental organizations gathered in Ulaanbaatar on May 14 and 15 to compare notes and strengthen relationships between grassroots environmental groups and the national government. The National Forum of Communities for Natural Resource Management was sponsored by Mongolia's Ministry of Environment, Green Development, and Tourism (MoEGDT), and supported by several international organizations, including the United Nations Development Program, the Food and Agricultural Organization, the German Agency for International Cooperation, and the World Wildlife Fund. The first day of the forum featured an outdoor fair with information booths on Chinggis Khaan square that offered a striking display of Mongolia's environmental community and an implicit appeal to government agencies to take a more active role in enforcing environmental laws. Speaking at the opening ceremony, the head of the MoEGDT, Ms. D. Oyunkhorol, emphasized the crucial conservation role of indigenous people, calling them both users and essential stewards of the natural environment, and she highlighted efforts by grassroots communities and partnerships to rehabilitate lands degraded by mining. The second day of the forum, held at the Government House, had a more formal character. In his opening address, President Tsakhiagiin Elbegdorj emphasized the importance of public-private partnerships in protecting the environment and combating climate change. He also emphasized the need for bottom-up management of natural resources that starts at the grassroots and affects decision-making at higher levels. He called environmental conservation a globally accepted culture, and appealed to current users to make a fundamental shift to "green" behavior. The day continued with two sessions discussing best practices and capacity building for "environmental communities," local populations that work together to protect their environment. Mongolia's first, pioneering environmental communities were established in the 1990′s in Selenge and Arkhangai provinces to conserve forest resources. There are now nearly 1,700 environmental communities in Mongolia, protecting some 8.2 million hectares of land. Many forest protection communities have joined forces to combat illegal timber production. Communities in Uvs province in western Mongolia have worked to preserve pasturelands of threatened argali sheep and to dig a 12-kilometer channel to carry water to black-tailed gazelles living in protected areas. Prominent among forum participants were members of artisanal and small-scale mining (ASM) associations. Mongolia has an estimated 100,000 artisanal miners, who work independently and make up nearly 20 percent of the rural workforce. Due to environmentally destructive mining practices, artisanal miners were long marginalized by Mongolian society, preventing them from achieving their full economic potential, or, ironically, from developing more sustainable environmental practices. But in 2010, the government legalized artisanal mining as an official occupation, recognizing the rights of artisanal miners to work and to organize themselves into formal business partnerships. They now contribute $110 million annually to Mongolia's export revenues, and account for 25% of the gold on deposit at the Bank of Mongolia. The Asia Foundation and the ASM Federation, an umbrella group for artisanal miners, served on the panel on building the capacity of environmental communities. It was suggested that, since 90 percent of Mongolia's lands are under the observation of herders and other indigenous inhabitants, those populations should play a role in protecting them by forming environmental communities. But while the law now provides clear incentives for environmental communities, the panelists noted that these incentives are not widely known, and that environmental communities still need higher legal standing to be effective and sustainable. Since 2013, The Asia Foundation has been working with multiple stakeholders to mitigate the environmental impacts of artisanal mining. The Engaging Stakeholders in Environmental Conservation II project (ESEC II), funded by the Swiss Agency for Development and Cooperation, works to improve the environmental responsibility of artisanal miners through the use of Frugal Rehabilitation Methodology (FRM), a formal system of technical and biological measures to repair ASM-damaged lands. Developed in a series of pilot projects, FRM is designed to be economically affordable, socially acceptable, and ecologically viable. The participation of artisanal mining partnerships in the forum was a significant recognition by MoEGDT of the ASM sector's necessary role in environmental conservation. Ms. Tuya, board member of the ASM Federation, a partner of ESEC II, stated: "Since the formalization of ASM, we have undertaken a number of environmental initiatives with local communities. Thanks to these efforts, we are now seen as reliable potential contributors to local development." The forum concluded by drafting recommendations for various stakeholders, including the Parliament of Mongolia, the MoEGDT, international organizations, and local governments. Top recommendations included amending environmental laws as necessary, updating regulations for the co-management of natural resources by multiple stakeholders, improving incentives for environmental communities, and identifying opportunities for international collaboration. The recommendations are currently being reviewed, and will be submitted to the appropriate government agencies. Khandarmaa Ayush is logistics and communications coordinator for The Asia Foundation's Engaging Stakeholders in Environmental Conservation II project in Mongolia. She can be reached at khandarmaa.ayush@asiafoundation.org. The views and opinions expressed here are those of the author and not those of The Asia Foundation. Taken from his mountain grave in Mongolia, the body of Tsorzh Sanzhzhav had been destined for the black market. May 21 (The Siberian Times) The thief who stole the mummy of the Mongolian monk found in the lotus position has been jailed for six months. D Enkhter took the remains in October last year from Sodnomdarzhaa Mountain, 50km from Tsakhir in the Arkhangai district, and hid it. He was only caught three months later when he tried to sell it for 300million tugriks (7million roubles/$155,000). No details on his prosecution have emerged from Mongolia but it is known he was sentenced according to Article 129.1 of the Criminal Code, for destroying the grave. It comes as the Mongolian government announces that it plans to allocate 164million tugriks (4million roubles/$84,000) to return the monk's body to his burial place. The remains of Tsorzh Sanzhzhav, who was born about 200 years ago, are being kept and restored in Gandan Monastery in Ulaanbaatar, but will soon go back to the mountain. There are hopes that one day a temple can be built above the grave to allow pilgrims and tourists to visit and pray. Tsorzh Sanzhzhav was a disciple of one of the greatest Buddhist teachers that ever lived and had been buried alongside his elder master. MINNEAPOLIS, May 18 (WCCO) –Every year high school students from all over the world call St. Paul Preparatory School home. On Monday, WCCO This Morning's Ali Lucia met with one of them, Sia Ganbaatar. Ganbaatar is a Mongolian exchange student who, despite still finding her way in a new culture, shows how there's nothing quiet about her moves on the chess board. Ganbaatar, a senior at St. Paul Prep, started playing chess when she was 7-years-old. Her cheerful attitude can even be displayed when she's competing in her principal's office. "It helps kids develop their brain a lot, patience, concentration. It helps a lot of things in life," Ganbaatar said. Ganbaatar moved to St. Paul from Mongolia this September to finish her final year of high school at St. Paul Preparatory School, where the curriculum focuses on critical thinking, intercultural learning as well as a variety of advanced placement courses. The school's principal, John Belpedio, who spent the last five years at a sister school in China, said it's remarkable to see how quickly the student learn and adapt. 'They're growth over the period of a year we see mostly in English first. Then we see them become adept, have a basic vocabulary level and really shine in the academic area," Belpedio said. "Sia is like that." He said at first Ganbaatar shied away from telling others just how she good was at conquering this game. "With Sia, we didn't even know about her talent," Belpedio said. Her positional sacrifice paid off and she took home the 2015 Minnesota State Girl's Chess Champion at the 50th Annual Scholastic Chess Championship, even finishing seventh among her male peers. "We had kids here almost every day after school playing with her. There are very few girls who play," Belpedio said. "Seeing her really shine and then teaching other kids was really a great thing." said Belpedio. "People say it's like a war because you have to make strategies and plans, and it connects to life a lot," Ganbaatar said. Ganbaatar will compete at the U.S. Open Chess Championships the first week in August in Phoenix, Ariz.
She has a chance to win a college scholarship if she is crowned the winner.